Do I Have To Pay Back All Of My Debts In A St. Louis Chapter 13? No, not necessarily. The goal is to be in a situation in which you only have to pay back a certain portion of your unsecured debt (such as credit cards, medical bills, payday loans, etc). A St. Louis Chapter 13 bankruptcy is described as a repayment plan over the course of three to five years, during which certain debts are paid back. Some of these debts take precedence over others. For instance, secured debts have the highest priority. These would be things like car loans and mortgage arrearage (i.e. the amount that you have fallen behind on your house payments), and other home-related debts like real estate taxes and sewer bills. The next highest priority would be basic tax debts (like income, personal property, and sales tax), and domestic support obligations (like back child support and spousal maintenance). The lowest priority given to debts inside a Missouri Chapter 13 bankruptcy is the unsecured variety (like credit cards). So if you have to pay back your secured debts (like a car) and priority debts (like delinquent income taxes) in a Chapter 13, the real question is how much of the unsecured debt (like medical bills) do you have to pay back? Well, that depends on a number of factors. Most of the time, the two largest factors are: 1) the number of people in your house; and 2) the total household income your family brings in. If you are below a certain threshold, then it is quite possible you will not have to pay back any unsecured debt in a Chapter 13. For instance, the average or median income for a household of two is roughly $50,000 per year. If you are a household of two, and your household income is below this level, then there is a very good likelihood that you will not be required to pay back any unsecured creditor. But what if you are a household of two, and your household income is higher than the average? Let’s look at an example: you are a household of two (in which the median income is roughly $50,000 per year), but your particular household income is closer to $70,000. Generally speaking, you would have to pay back roughly $20,000 of your unsecured debt (70 – 50 = 20). But even in this example, there are certain exemptions and deductions that can be used to reduce (on paper) your household income, and therefore lower the amount of unsecured debt that you would have to repay. If the process described seems difficult and complicated, that’s because it is. But then that is why it is so terribly important to hire a very experienced law firm to handle your case. 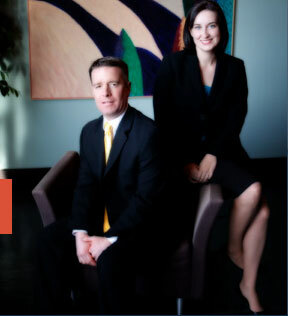 The affordable St. Louis bankruptcy attorneys at Brinkman & Alter, LLC have been helping people get back on their feet financially for over ten (10) years. We have two locations: in the Central West End at 1 North Taylor, St. Louis, MO 63108, and in Crystal City/Festus at 1000 Truman Blvd (Highway 61/67). Call today to learn more about our free initial consultation.